James Young and Guy Banner pose among flowers on their farm nestled along the Wasatch Front. 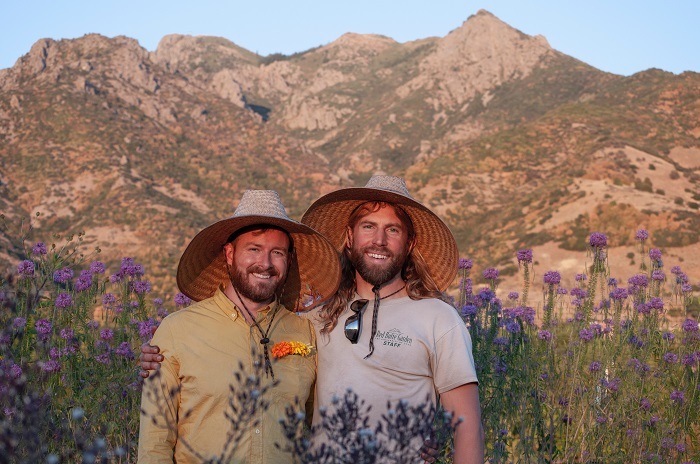 James Young and Guy Banner started Grand Prismatic Seed in 2016 after they returned to Salt Lake City from Oregon, where they learned to grow and save seeds. Their backgrounds are in ethnobotany, habitat restoration, and native-seed production. 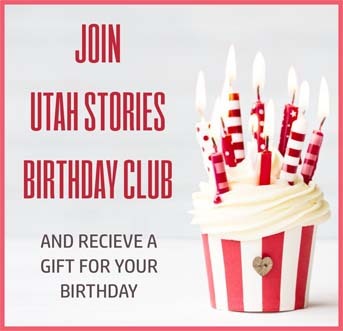 As plant breeders growing along the Wasatch Front, they select for varieties that can withstand the stresses of high-desert crop production. Choosing to buy seed from them instead of what you might find at the grocery or hardware store means your crops will be specifically adapted to the Intermountain West. Among their selections you can find mixed vegetables, plants for natural dyeing and medicinal herbs. Their hope for Grand Prismatic Seed is to inspire people to grow native plants that require minimal inputs, provide habitat for native insects and wildlife, and can replace lawns. They are driven to offer seeds that encourage the preservation of plant diversity and ensure seed sovereignty. You can find Grand Prismatic Seed at the Rio Grande Winter Market selling seeds such as potatoes, onions, garlic, and other winter crops. 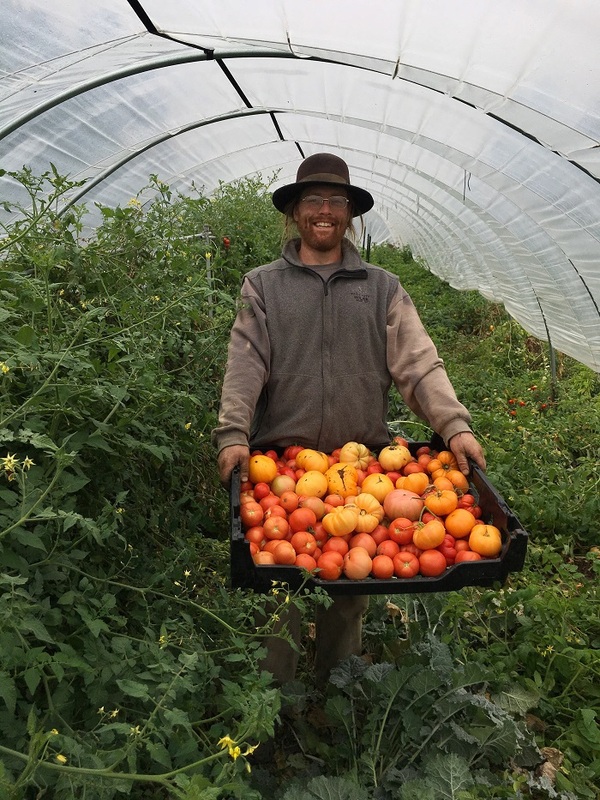 Shad Stagl started Stagl Organics in 2016, primarily selling CSA shares (community supported agriculture). He began selling to restaurants such as Trio and Cafe Solstice before expanding his business to various farmers markets in the area. Stagl Organics seeks to be priced competitively with the local grocery store while providing a wide-range of organic foods. Along with growing organically, Shad is constantly improving efficiency of operations so his prices stay affordable. By ensuring efficiency and cutting out the middle man, Stagl Organics is proof you can eat organically without breaking the bank. Shad’s direct farm-to-customer approach invites people to not only eat and prepare locally grown foods, but meet their farmer, and connect back to the land. You might find Stagl Organics selling microgreens, spinach, arugula, and parsley at the Rio Grande Winter Market. The Hand Sown Home Grown booth at the Wheeler Farm Sunday market. Photo by Jared Hankins and caption by Kelli Case. 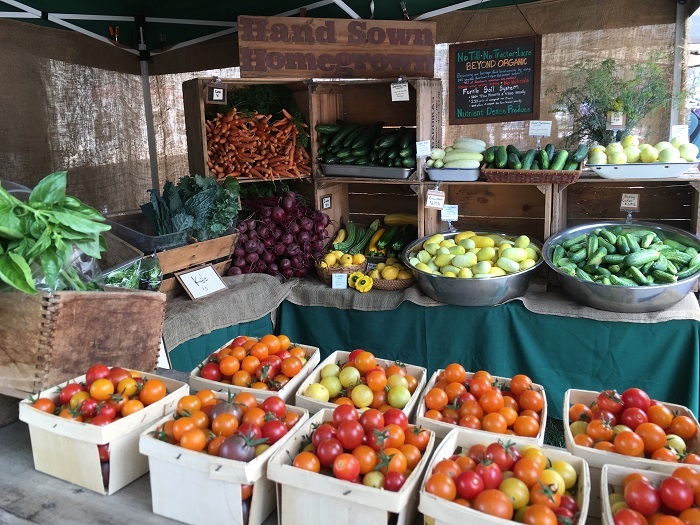 Jared Hankins, of Hand Sown Home Grown, got his start with farming in 2006, but started Hand Sown Home Grown when he moved back to Utah from Washington in 2016. On less than one acre of land in West Jordan, Hand Sown Home Grown uses only ‘beyond organic’ growing methods which build up vibrant, living soil that produces delicious, nutrient-dense food. Jared steers clear of gas-powered machinery, which means all work is done with hand tools so the land is not tilled and the farm is not reliant on fossil fuels. Along with amending the soil with compost and compost tea, Jared also adds over a hundred trace minerals. These amendments regenerate life in the soil, which makes the food more nutrient dense—and as many of his customers would say, tastier. Hand Sown Home Grown offers heirloom varieties grown from open-pollinated seeds to preserve heritage food biodiversity. “I work with nature rather than against it. You can see worms coming out of the soil. You won’t find that on conventional farms,” Jared said of his farming practices. 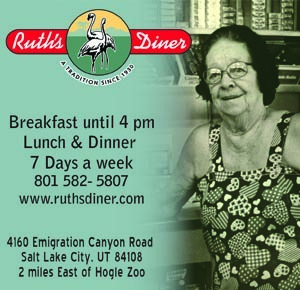 If you look for his booth at the Rio Grande Winter Market, you’ll likely find several unique varieties of lettuce, carrots, radishes, kale, beets, mustards and collards—all rare and delicious treats at this time of year. The Winter Market at Rio Grande runs every Saturday from 10am-2pm from November 10th, 2018 until April 20th, 2019 at the Rio Grande Depot, 270 S Rio Grande Street.